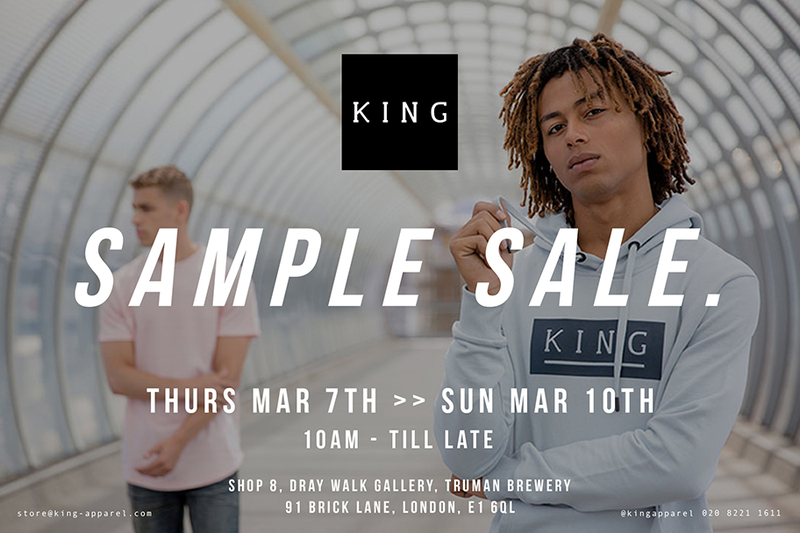 For the first time in almost two years the KING SAMPLE SALE is back! Hosted again at Dray Walk in the Truman Brewery Shop No. 8 in East London from Thurs 7th March to Sun 10th March we will be bringing along all the good stuff our sample sales are renowned for! Look out for one off samples, a host of classic pieces and never before seen styles only available for this weekend. One of the biggest dates in the streetwear calendar the Sample Sale will last for 4 days ONLY so come through and get involved.